When you talk of sports, you are instantly reminded of sports championships and tournaments. Now what is the best part about these tournaments? Of course it is the award you receive at the end. Usually, the winners are handed over a certificate which recognises their effort and commends them for it. You may also see Certificate Templates. 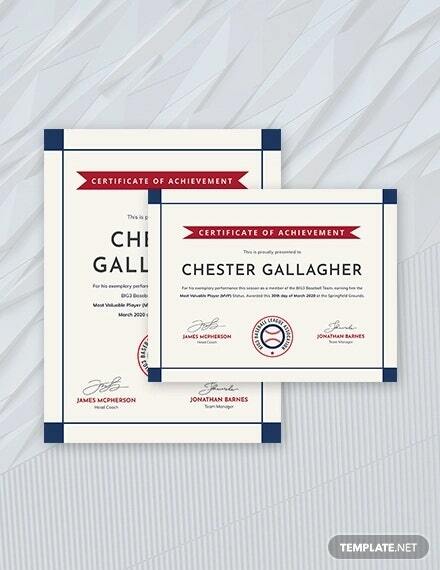 To create the certificates for any sports event that you are planning or organising, you could take the help of these amazing sports achievement certificates below.You can also see Certificate Template. 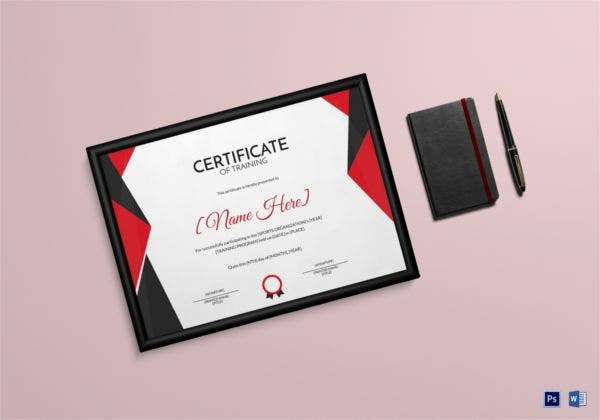 This certificate template keeps it extremely simple and to the point with a minimalistic design and a beautiful layout. All the elements that you see on the template have been kept fully customisable. 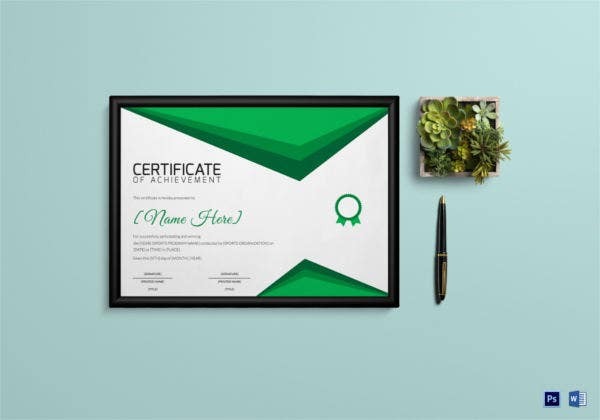 This certificate theme maintains an emerald theme throughout. Also, the template comes in a standard size and with Word and PSD compatibility. That makes the template easy to use. This template comes with easy customisation of colour and text, a CMYK colour mode, a fairly high resolution of 300 dpi and a well defined border which adds to the charm. 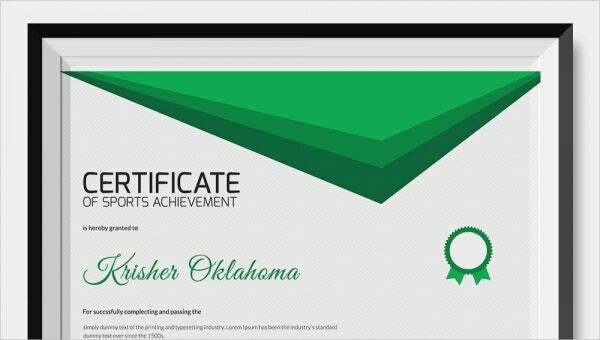 > How can you use the Sports Achievement Certificates? In the case of tournaments, not only the winners but also the other participants are awarded certificates. 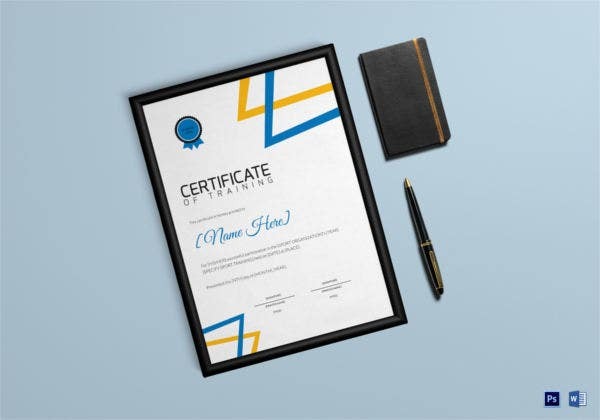 Thus, there are two separate types of certificates. One, that is awarded to the winner of a competition and the other which is awarded to the other participants. 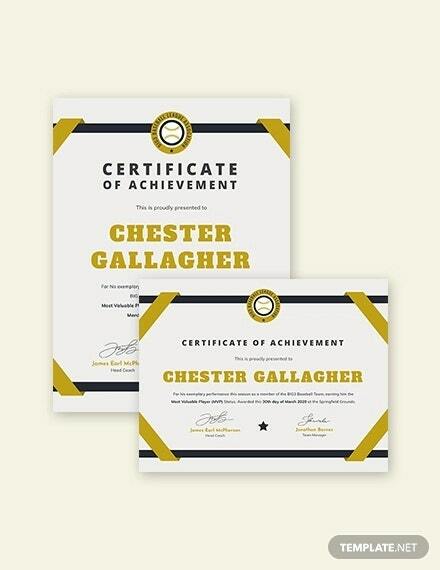 On the other hand, some certificates are reserved for achievement and training purposes. 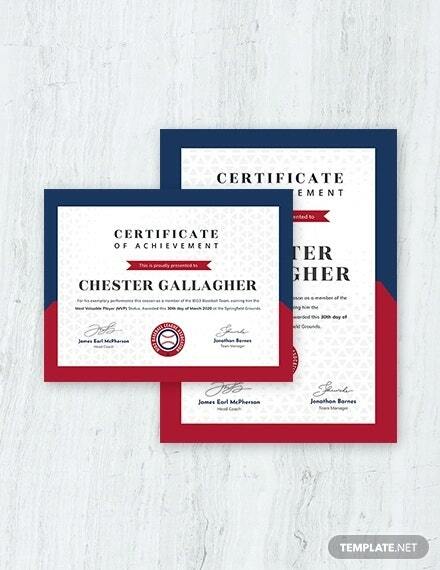 Say someone has completed a training program in a particular sport, then they deserve to be certified for it. 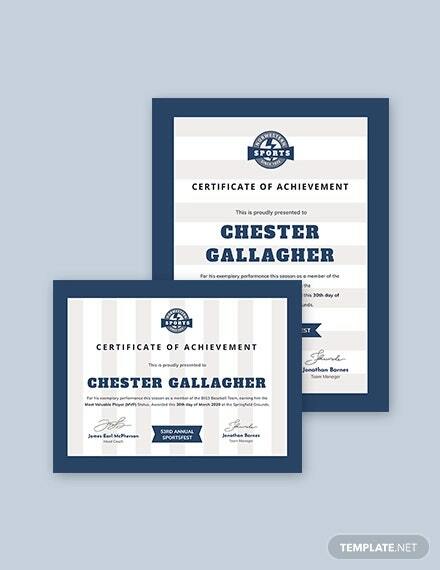 > What makes the Sports Achievement Certificates so Special? The templates come with stock images which may be retained. You also get a bunch of free fonts. The templates come in easy to use formats like Word or PSD. That makes them fully customisable and easy to personalise. All the sports achievement certificates that you see here have been handpicked for your benefit. 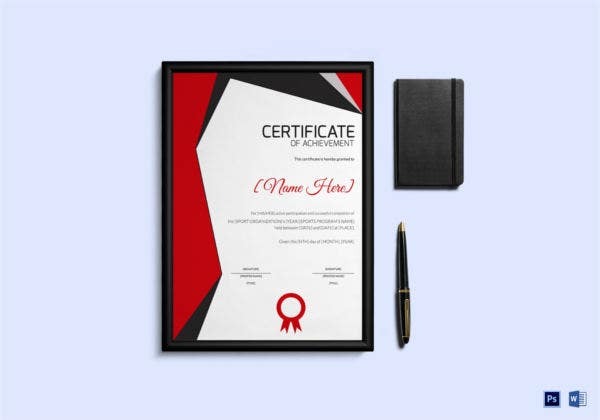 There is a wide range of certificate templates here to choose from. All you have to do is download the certificate template you like and then edit it to make sure it goes with your needs.